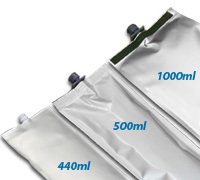 Our premium ink with nano-sized pigment particles, made to match the OEM ink in colour gamut, packaged with our proprietary degassing technology is guaranteed to outperform the original cartridges. 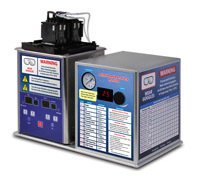 Print Head Doctor is a unique system for maintenance and recovery of UV, solvent and water-based inkjet print heads. Average recovery rate is 90%. Even severely clogged print heads can be restored. 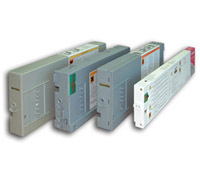 Supported print heads include Spectra, Vutek, Epson, Hitachi, Xaar, Toshiba, Seiko, Konica-Minolta. 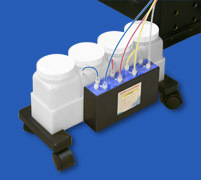 Our company has over 10 years experience in development and production of bulk ink systems. 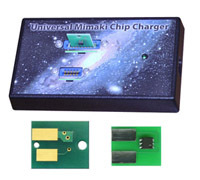 The world's first Mimaki bulk system, Seiko Colorpainter and HP9000 bulk systems, first Mimaki chip, first re-settable and permanent chip were developed by us. With over 10 years experience in delivering the best quality printing ink, we guarantee a total customer satisfaction with the quality of our bottled ink and our superior customer service. 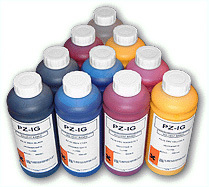 We offer ink degassing solutions that boost the performance of your printer equipped with the bulk system. The air-free (degassed) ink works with an amazing stability, just as good as the OEM cartridges, sometimes even surpassing them. 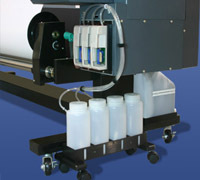 Nozzles don't drop out, resulting in a consistently high print quality, less wasted ink and media. 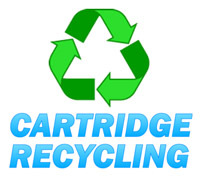 We are one of the few companies offering recycling services of used solvent ink cartridges of large-format printers. We properly dispose of the unused ink leftovers in the cartridges, and we re-use the plastic shells of the cartridges for our products. Copyright © 2016 Digital Sign Technologies Inc.